BATTLE BEAST – release ‘Endless Summer’ music video + “No More Hollywood Endings” out now + kick off EU tour! “This album will thrill all over the world and people everywhere will beg to hear these tracks live. 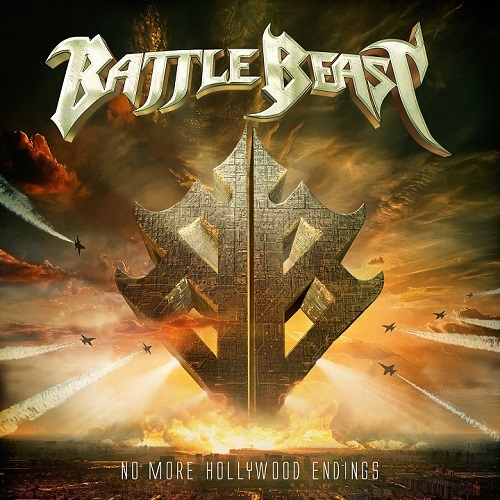 “With »No More Hollywood Endings«, BATTLE BEAST outshine several of their previous hits. The tracks from »No More Hollywood Endings« will be presented on an extensive world tour cycle. The first leg, Europe, kicks off tonight in Helsinki, Finland, and will lead the band all across the Continent, incl. a stop at Delta Metal Meeting (Mannheim, D) among others. Support comes from their fellow countrymenARION. All dates can be found below. Watch the recently released track by track trailers below! »No More Hollywood Endings« was recorded by keyboardist Janne Björkroth, Viktor Gullichsen and guitarist Joona Björkroth at JKB Studios; with the record also being produced and mixed by Janne. The cover artwork was created by Jan Yrlund (KORPIKLAANI, MANOWAR etc. ), who created the cover for the band’s last album, »Bringer Of Pain«. 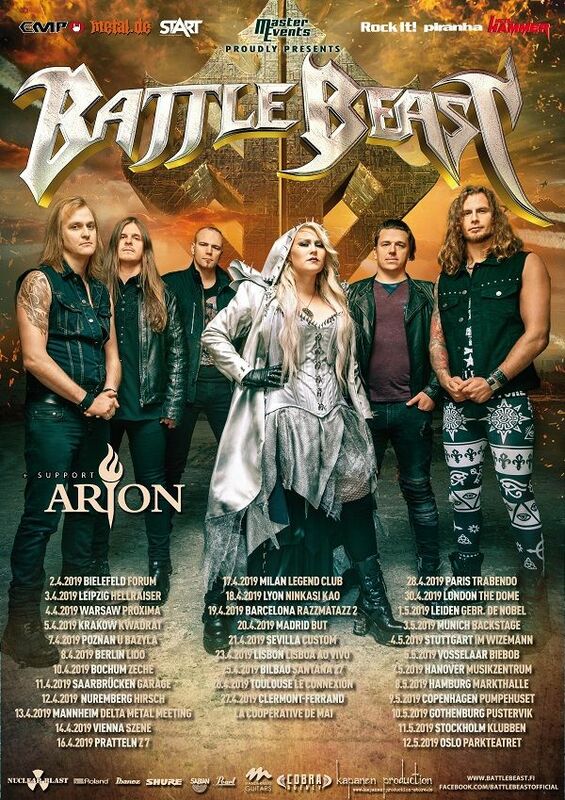 BATTLE BEAST – unleash ‘The Golden Horde’ lyric video + EU tour under way! BATTLE BEAST – unveil final part of “NMHE” track by track video series + new studio album out this Friday + EU tour kicks off! BATTLE BEAST – unveil first part of “NMHE” track by track video series!